Tottenham is cheddar off with Holly! Views of residents are being sought for plans to convert disused public toilets in Bruce Grove. 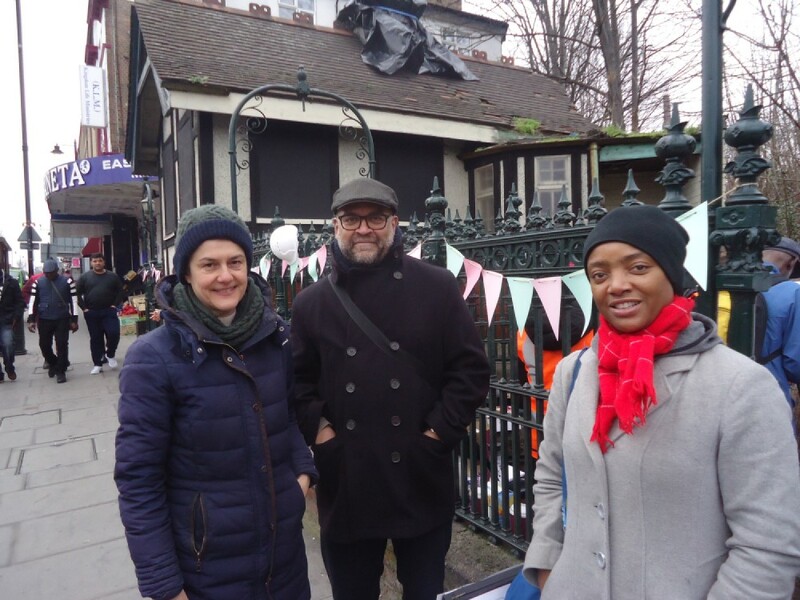 For decades the impressive black and white building close to Bruce Grove Rail Station has remained disused but an operator will soon be chosen to transform the historic public conveniences which date back more than 100 years. It all started when resident Geraldine Turvey approached Haringey Council asking if anything was happening to the old building. Geraldine soon formed a community group, The Last Elm (named after the last elm tree which stood in this area) and, working closely with the council, is now asking the public what the building should become. The restoration will take place thanks to funding from Haringey Council and the Greater London Authority’s Good Growth Fund. Over a weekend in February the council and The Last Elm invited residents along to a consultation at the Grade II listed building. At this ‘Open House’ session people could take a peek inside the Gents toilets, view an exhibition of plans and give feedback on what they would like to see happen to the local landmark. Hoardings have now been installed on-site by the council in response to the structural condition of the building, and to ensure safety ahead of restoration taking place. 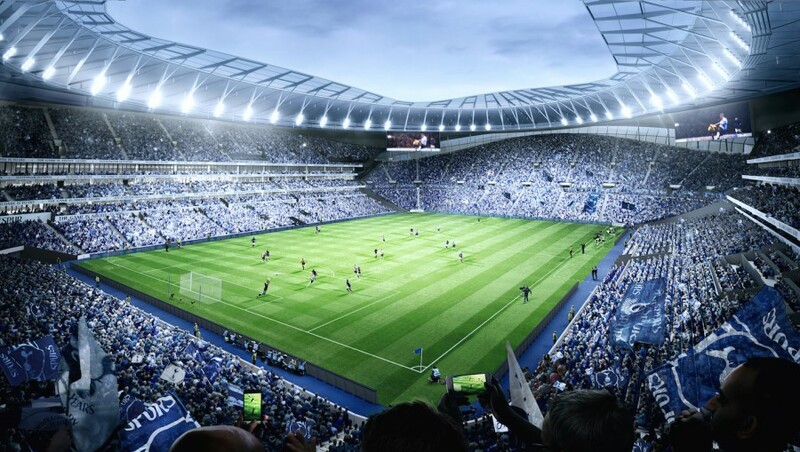 Tottenham Hotspur are playing two test events at the new stadium in March. Two successful test events with increasing levels of capacity are required to be played for the stadium to receive a safety certificate from Haringey Council. Once this has been received Spurs will be able to finish playing this season at the new stadium. Event day restrictions kick-in for any event with over 9,999 visitors. Match day CPZ restrictions will come into force, there will be road closures and also public transport will be busier. Spurs have created a comprehensive guide for local residents and businesses covering the operation of the new stadium. It is available to view and download at www.tottenhamhotspur.com/local (external link) or call 020 3946 4040. 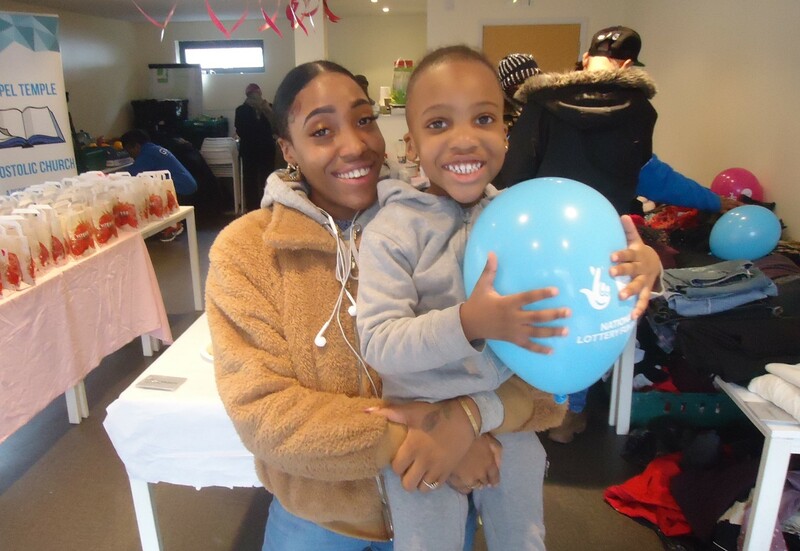 Acclaimed children’s charity the Hackney Pirates has now launched a second ship at the 639 Enterprise Centre in the Tottenham High Road. 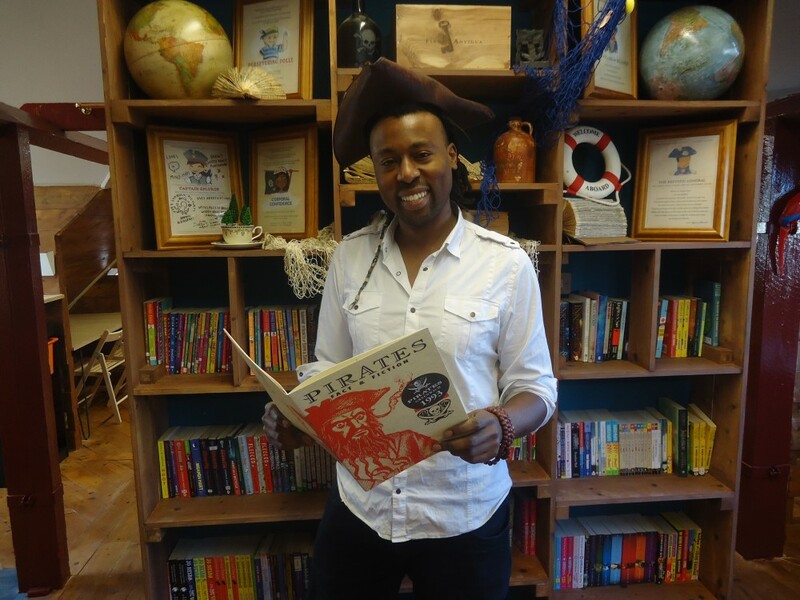 Called the Haringey Pirates it aims to replicate the success of its big brother by helping hundreds of nine to 13-year-olds develop their literacy and confidence. These youngsters will have fallen behind at school for any number of reasons and have been referred to the pirates by their primary or secondary school for some extra support. If you are interested in volunteering email: anthony@hackneypirates.org (external link) or call 07706 002254. 639 High Road is one of the most eye-catching buildings in Tottenham – but the passerby might have little idea what goes on inside. Yet step through its doors and you will discover an inside just as impressive as the outside in an Aladdin’s Cave of businesses and individuals showcasing some of the best talents in our borough. 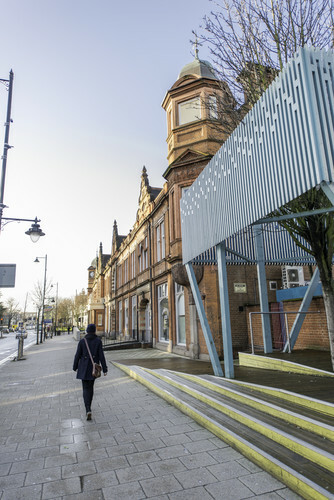 The Trampery is a social enterprise that looks after different sites in London, and last October came to Tottenham to take over this hub for the many creative businesses, community groups and entrepreneurs based here. Consisting of 44 studios and 15 desk spaces (and rising), The Trampery not only oversees the running of the place, but can also provide business support, signpost to courses and workshops, and organise events and networking opportunities for members. Importantly, The Trampery is also outward-looking and is keen to play a big part in our community. Indeed, Charles and co have just embarked on a fundraising project to raise £750,000 to upgrade the building’s ground floor, which promises to make it more open to the public and the passerby. With discounts available for local businesses and special provisions for young entrepreneurs, there is plenty to recommend The Trampery’s Tottenham site as a place for fledging and more established businesses. If you’re cheesed off with the same old supermarket dairy selection then pop along to Holcombe Market and find Wine & Rind – Tottenham’s first cheese shop. 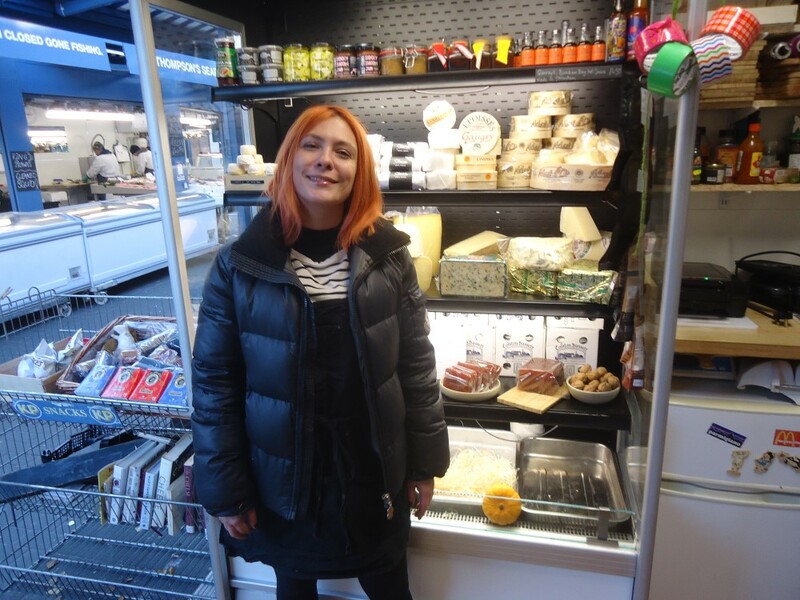 Run by the effervescent local girl, Holly Chaves, it not only boasts a mouth-watering selection of British and international cheese (plus wine on tap at weekends) but serves up scrumptious cheese toasties for the hungry shopper or passerby from the classic Breville sandwich toaster. Holly was a Saturday girl at a cheese shop in Greenwich and within two weeks was running the place when the manager quit. Enjoying the daily rind she stayed for a year, worked at a cheese shop in the Holloway Road, before planning her own grate enterprise! The toasties include the popular Cacio e Pepe (mozzarella and pecorino cheese with a handful of black pepper) for a fiver. Holly used to run a stall in St Pancras where the queue would be made of British and French customers coming on and off the Eurostar. And what do Tottenham folk like buying at Wine & Rind? • Wine & Rind is open Tuesdays to Thursdays, 10am to 4pm, and Fridays and Saturdays, 10am to 6pm. • Find Holly’s shop on Facebook (external link), Twitter (external link) or Instagram (external link). Crowdfund London, an initiative by the mayor of London, gives you the opportunity to pitch new ideas - big or small - for community-led projects to make your local area even better. The best could attract a pledge of up to £50,000 to support your crowdfunding campaign on Spacehive. If you get a pledge and then hit your target, the Mayor of London will support you to bring your idea to life. In 2019 they have up to £1m to pledge to creative and distinctive ideas that can demonstrate local support. Based at 639 High Road it is open every Tuesday from 11am to 3pm. It is also a place for people who just want to pop in for a hot drink and a chat with volunteers and members of the Gospel Temple Apostolic Church which is running the hub. Jason explained some Jobcentre clients might have had their benefits sanctioned and have no money to buy food, so the hub was a ‘first stop shop’ for them to avoid the prospect of starvation. All the food is sourced from local supermarkets and is healthy with an emphasis on fruit and vegetables. The food is also well within the expiry date so it can last for a few days. The church recently received a £4,000 grant from the National Lottery which they hope will fund the hub for at least a year. Hundreds of visitors have enjoyed a packed day of talks and packed rooms full of stalls at this year’s Haringey Local History Fair. 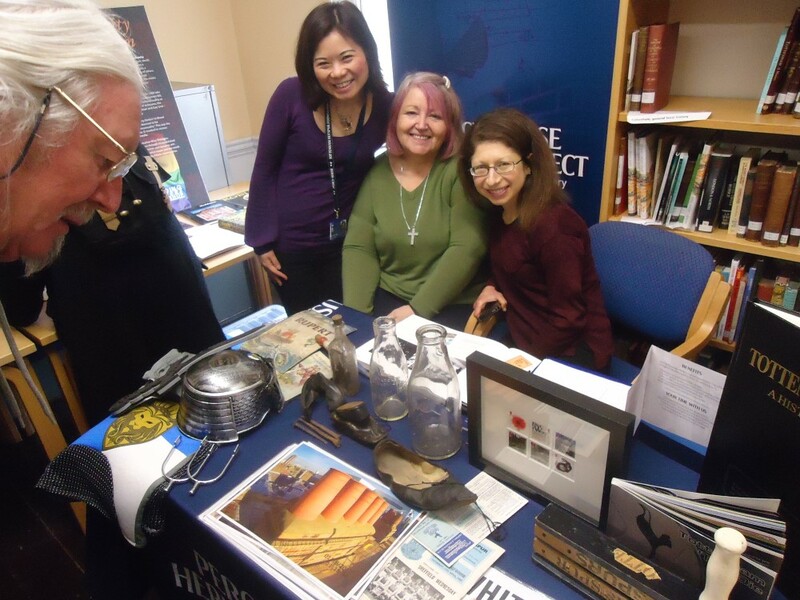 Once again Bruce Castle Museum was the venue to showcase many of the heritage community groups the borough has to offer. Throughout the day there was also a variety of talks from experts reflecting on different aspects of the area while the Archive Search Room featured some special displays. The talks ranged from black Georgian Londoners and a 1619 map of Tottenham to 50 years of the Victoria Line and 150 years of Finsbury Park. Meanwhile upstairs boasted a colourful display of stalls from the many history and community groups in Haringey. Close by the Percy House Heritage Project had a stall featuring artefacts found from the renovation of the historic house in the Tottenham High Road, as well as a mini knight’s outfit for children to dress in as tribute to one of the most famous of knights, Henry Percy. Tiverton Primary is a vibrant and inclusive school in the heart of Tottenham. Their roving reporters (also known as the newspaper group) have been quizzing children across the school about their thoughts on Tottenham and Haringey: what they love about their area and where they recommend. It is the ‘foxes at night’ which Lorraine, in year 6, thinks are great in our area and thinks people (not foxes) should visit Bruce Castle Park Museum. “I like Tottenham because we have the right to our own voice and we are a mixed and diverse society”, states Natalie in year 6, she goes on to recommend “Ally Pally because it is beautiful and has loads for adults and children”. Unsurprisingly the food in the area was popular with the children, especially spicy food outlets such as Pepper and Spice (popular with 4 year old Tonya). In terms of a healthy balanced lifestyle, Filip, aged 11, was singing the praises of Tottenham Green swimming pool. Issaih, aged 7, rated the football team and is proud to be a supporter, while for many children the parks and playgrounds are what makes Tottenham so fantastic. Overall, the children of Tiverton Primary love their area and feel proud to come from Tottenham! 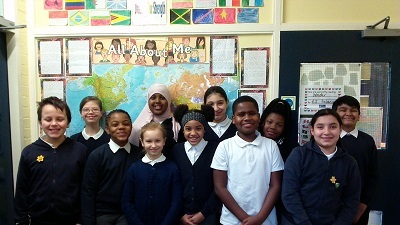 The newspaper club at Tiverton Primary allows them to research and write about life in the school as well as life in the wider Tottenham community. 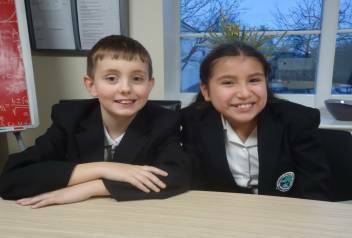 The club's purpose is to give the children a chance to write about their interests and passions, develop interviewing skills and keep our school community engaged and informed.